Carmel Valley is a vast master-planned community, located in the northern-most part of the City of San Diego. 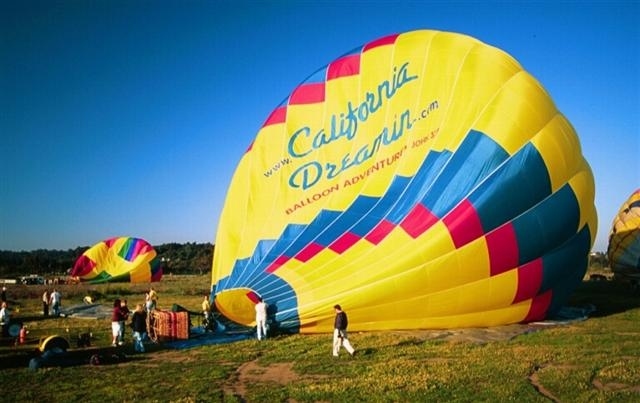 It lies about two miles from the Pacific Ocean, just east of I-5 and the City of Del Mar. Solana Beach is the northern neighbor of Carmel Valley. The Carmel Valley Zip Code is 92130. Search MLS data for Carmel Valley real estate & Carmel Valley homes for sale. American Indians inhabited what is now Carmel Valley for thousands of years. First were the San Dieguito Indians, followed by the La Jolla Indians and then the Diegueno Indians, about 1500 years ago. The area stayed vacant - farmland and open space until about 1982, when Pardee Homes opened their first development called Del Mar Highlands. Since then, new Carmel Valley neighborhoods have expanded south to Highway 56 and to the east, filling in what was open space just a few years ago. Pardee has built about half of the Carmel Valley homes on the thousands of acres they have owned. Residents are mostly young professionals, executives and employees of nearby biomedical, software and telecommunication companies. People who live in Carmel Valley define the phrase "active lifestyle". Walkers, runners, skaters and bikers are everywhere on the extensive system of trails and sidewalks that wind through the beautiful Carmel Valley real estate scene. You'll want to check out the Carmel Valley Recreation Center, one of the best in San Diego County. It offers residents a total sports facility including ball and soccer fields, swimming pool, tennis courts and gymnasium. Besides the popular youth programs, an extensive array of adult classes are available at the Recreation Center. The Pacific Athletic Club is a private upscale sports club catering to the health and athletic needs of Carmel Valley residents and others. It's a world-class facility with everything from aquatics and Pilates to tennis and group exercise. Search MLS data for Carmel Valley real estate & Carmel Valley homes for sale. Many small neighborhood parks dot the Carmel Valley scene, along with larger ball-playing facilities. Free summer concerts with a variety of music are performed in the neighborhood parks - they're a big hit! Two major shopping centers serve Carmel Valley offering upscale retail stores, a good variety of restaurants, a modern 8-screen movie theater and other family entertainment. Excellent medical facilities and professional services are available. The Carmel Valley Public Library is the pride of the neighborhood. 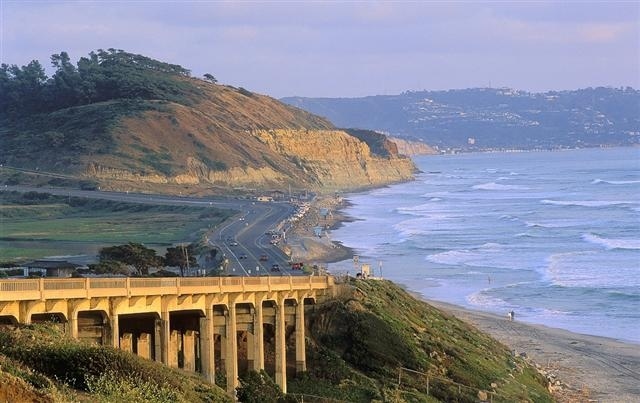 Carmel Valley residents take advantage of the nearby beautiful Torrey Pines State Reserve, the highly-rated Torrey Pines Golf Course, wide sandy Del Mar beaches, summer thoroughbred racing and the popular San Diego County Fair. Hot-air balloons, launched from vacant fields in the area, can be seen overhead on most evenings. Carmel Valley real estate offers a wide variety of luxury homes, condominiums and apartments. New homes are always under construction and there's an almost insatiable demand for large executive homes with four-plus bedrooms and three-car garages. The garages are filled with expensive luxury foreign cars. Yes, the Carmel Valley lifestyle is definitely upscale! In terms of investment, Carmel Valley real estate has appreciated as much as any neighborhood in San Diego County. Because it's so close to the major employment centers, some consider it to be the best location in San Diego. New Carmel Valley home development has expanded south to Highway 56 and to the east, filling in what was open space just a few years ago. Search MLS data for Carmel Valley real estate & Carmel Valley homes for sale. The schools in Carmel Valley are newer and some of the most respected in California. 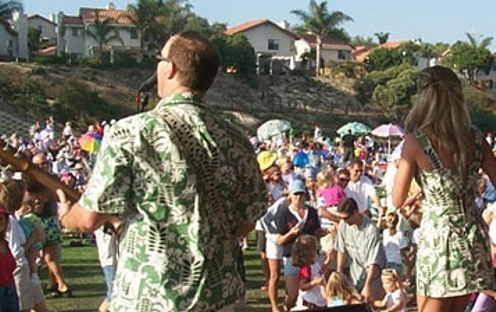 Children attend the Del Mar Union School District, the Solana Beach School District and the highly-rated San Dieguito Union High School District. Carmel Valley is also home to the top-rated Torrey Pines High School and the campus-style Carmel Valley Middle School. The new Canyon Crest Academy has a waiting list of ambitious students. Cathedral Catholic High School opened its doors in 2005 on a state-of-the-art campus. You'll find a good choice of private elementary and preschools located in the Carmel Valley community. See more information below on Carmel Valley schools or go to School Reports. If you want to buy a home in Carmel Valley or if you already own a home in Carmel Valley, protect your investment by looking at Real Estate Statistics. There, you can track the average sales price, days on the market, sale to list price ratios and more. Included are vital statistics, charts and graphs on Carmel Valley real estate, shown on a monthly and annual basis. And, be sure to sign up for the free e-mail reports on Carmel Valley real estate trends by going to Real Estate Trends. Want more information on Carmel Valley real estate and homes for sale? Click here to contact Neal Hribar, your Berkshire Hatheway HomeServices, California Properties Carmel Valley real estate agent. What homes are currently for sale in Carmel Valley? Click here to do an instant search of Carmel Valley real estate for sale.